Who doesn't love getting free stuff? Nobody, that's who. 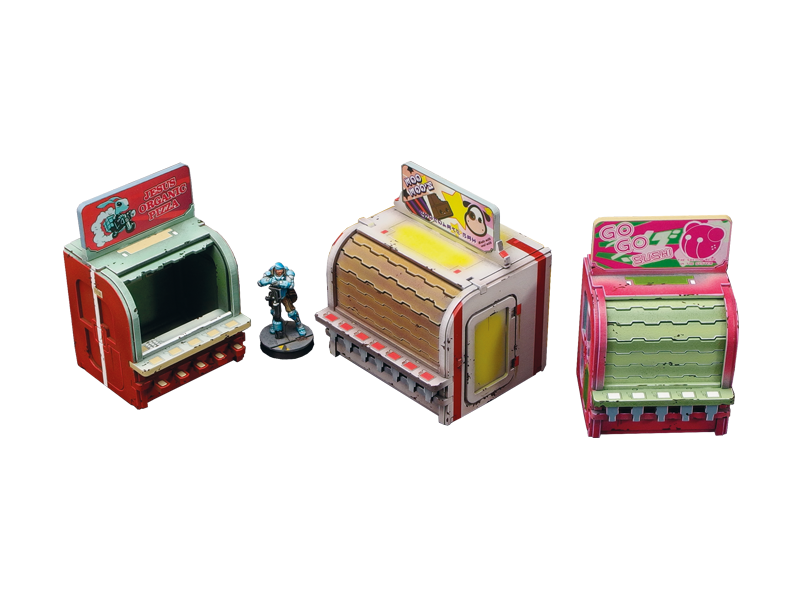 Especially when the free stuff is some cool terrain for your tabletops. It's been a while since we've seen one of these, but Corvus Belli is once again having themselves a giveaway. 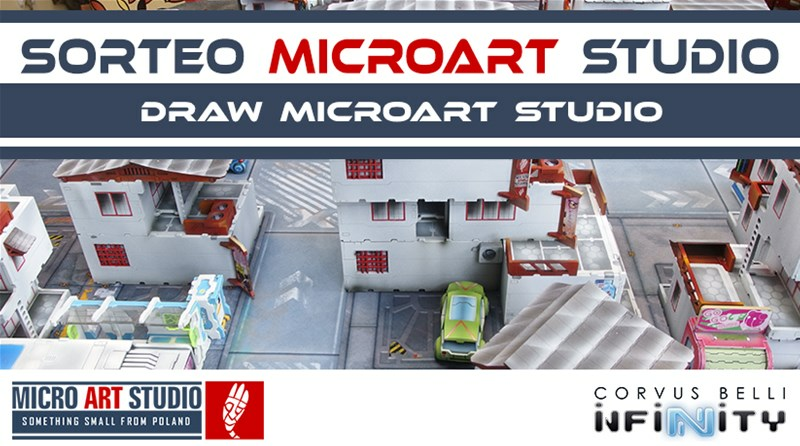 This time around, it's for some Micro Arts Studio terrain. You've got just a couple days to get your name in the hat. Thursday, and it's one week from the official start of Gen Con. Proceed to panic/celebrate as you see fit according to your level of preparedness. I'm sure there'll be hundreds of tables with some awesome terrain. Let's make your home tables look just as good, ok? Today in the Terrain Corner we have: Heroic Maps Release Marshgate & Chapel of the Unquiet Dead, Brigade Models Releases New 2mm scale Eastern Front Buildings, Deep-Cut Studio release Reef game mat for underwater battles, Acheson Creations Medieval Buildings and Viking Sale Through 31st, and Kokkyo-3 - new scenery from Micro Art Studio. Well, after a weekend that was exceedingly full of D&D (for me, at least), we're back at Monday. Can't say I'm that thrilled about that, but waddyagonnado? So, while we start that long climb back to some days off, let's make sure your gaming tables look as good as possible. 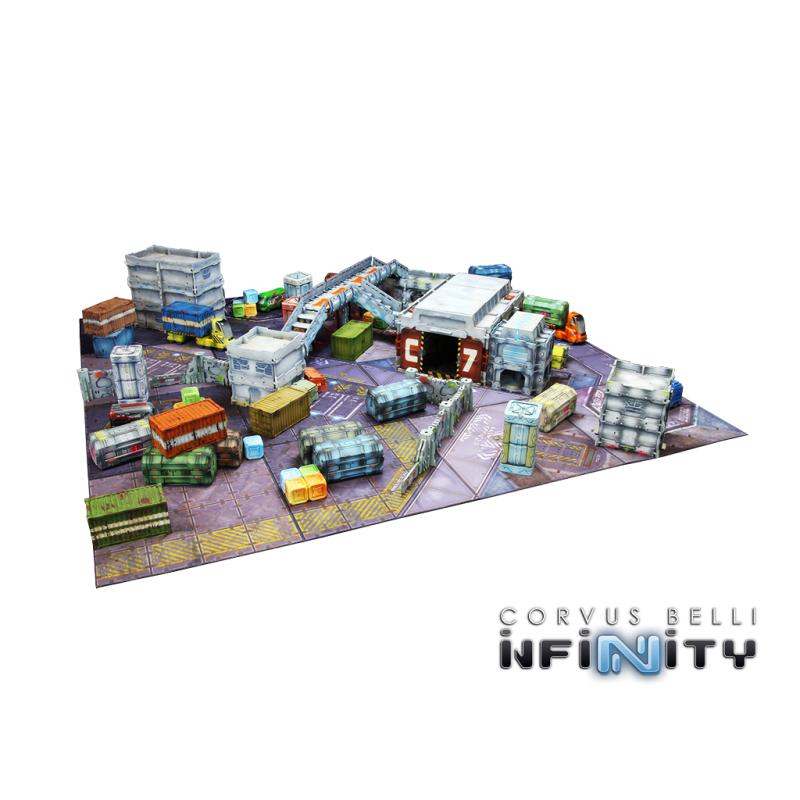 Today in the Terrain Corner we have: Priority Supplies Set Available From Fantasy Flight Games, Deep-Cut Studio Updates and Improves their Asteroid Game Mat, and New Infinity Terrain (and Tokens) from Micro Art Studio. 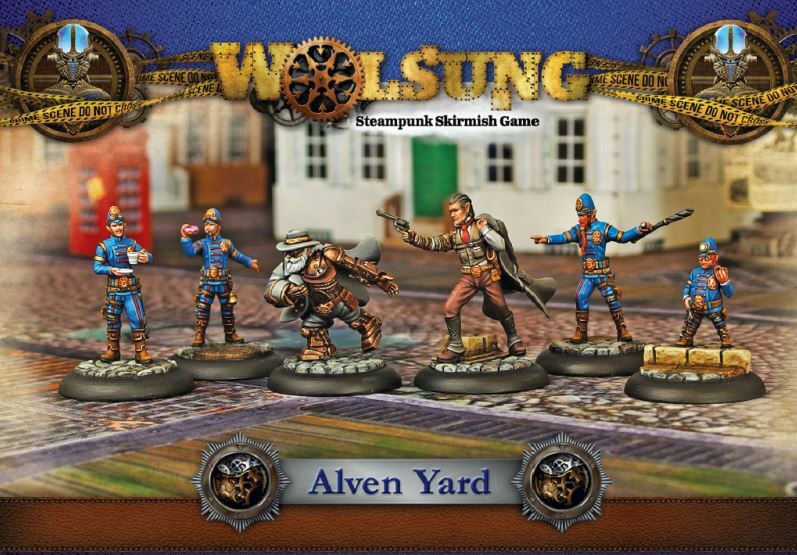 Micro Art Studios continues along with their Wolsung Steampunk Skirmish Game. This latest release is Bernette Vigil, a new character that's unaffiliated, because she's not gonna make nobody tell her who she can and can't hang out with! *coughcoughcough* Ok, so I'm still a bit sick. But having slept for... oh... about 15 hours, give or take, last night, I'm feeling a bit better. Also, my appetite is coming back. So there's that. As such, I'm not just having soup, I'm also noshing on these bite-sized gaming stories. 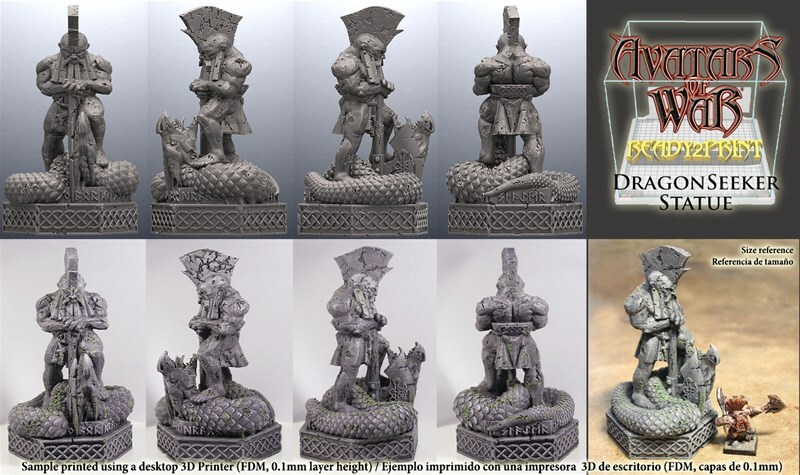 Today on the platter we have: New 32mm Infested Bases From Dark Art Miniatures, PeltaPeeps in Mensa Mind Games 2018, New Ancient Oval Bases Available From Micro Art Studio, and Mystery Dice Weekend Sale at Kraken Dice. The world of Wolsung isn't some lawless "every mechanic for themselves" sort of place. There's law and order. The bobbies of Alven Yard are there to keep the peace, even if it takes swinging their trusty truncheons into some ne'erdowell's head. 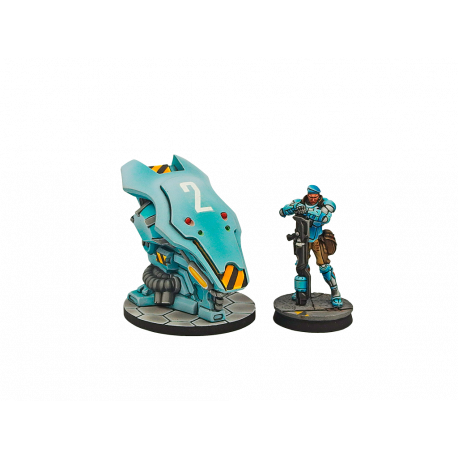 They're the new faction coming to the miniatures game, and Micro Art Studio is giving you a look at how they work. This is gonna be a pretty short week for me. It's like it's already Wednesday, in a way, since there's only 2 more days after this to the weekend. But it's not actually Wednesday. It's Monday. As such, that means my Robin Hood/Star Wars shirt and a Terrain Corner, rather than my Ministry of Silly Walks shirt and a Snippets. 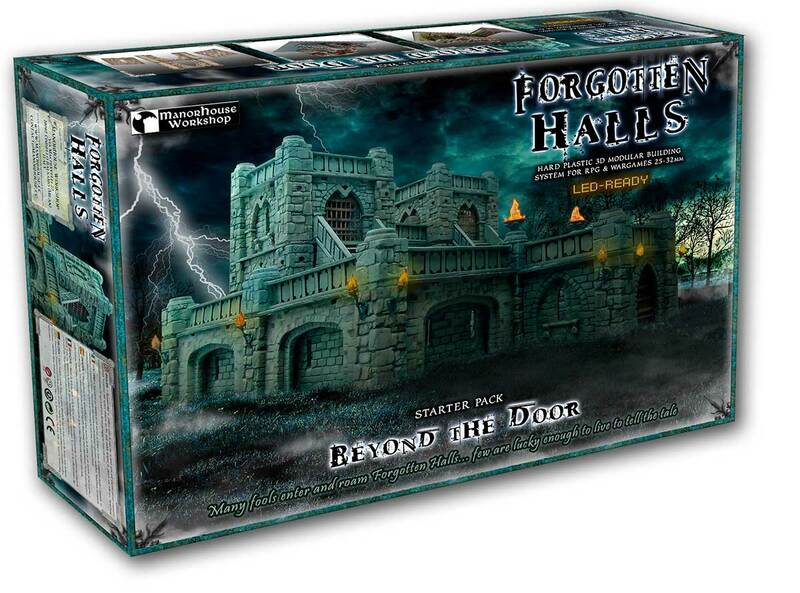 Today in the Terrain Corner we've got: New Wizard Tower and Holiday Sale Happening At Tabletop World, 4Ground Holiday Sale Happening Now, Heroic Maps - Terrain: Nebula Star Field Now Available, New Ruined Homestead Available From Micro Art Studio, and Heroic Maps - Port Fanchone Now Available. We're one week from Thanksgiving, my absolute most-favorite-est day of the year. My metaphorical work plate is piled higher than my actual plate will be next week at this time. So while I chew through this mass of projects, take a look at these new terrain articles that'll make your gaming table as pretty as your dinner table in a week. Today we have: B.A.S.E. 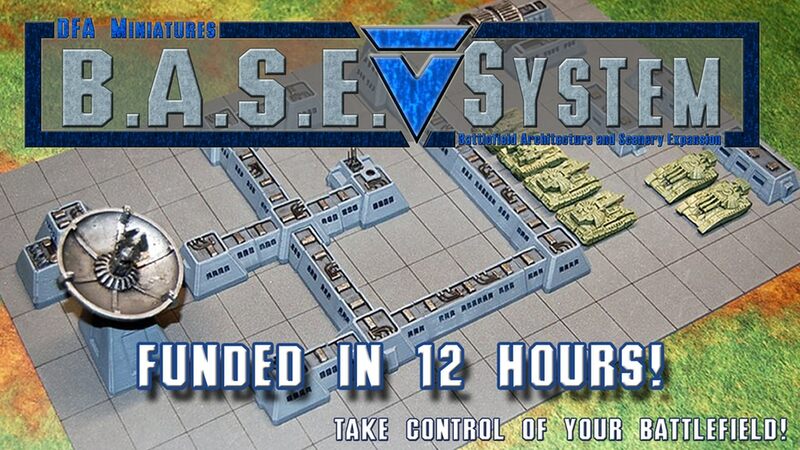 System Sci-Fi Terrain Up On Kickstarter, Hobgoblin3D To Launch New Kickstarter Campaign, Manorhouse Workshop Update 18 – Forgotten Halls – New accessories shown at Essen, Pwork Wargame Releases Redone Lands of Mars Mat, and New District 5 Lightboard Available From Micro Art Studio. The Monday after a long weekend... I mean, I know many of you out there love what you do for a living (as I certainly do), but there's always just a bit of "erf..." about the Monday after a long weekend. An extra smack of the snooze button. An extra long shower. An extra cup of coffee. You know how it goes. Eventually, we'll make it back around to the weekend. But, in the meantime, let's make sure that when we do get to game again, we'll have some good-looking gaming tables. Today in the Terrain Corner we have: Orc Wall Gate Available To Order From Bits of War, Battlefront's 2018 Premium Property Pre-order Deal Happening Now, Heroic Maps - Foxtail Moor: Wyvern Cave Now Available, Acheson Kongo Africa Kickstarter Funded: Unlocking Stretch Goals, and New Tech Coffin and Supply Box Available From Micro Art Studio. Aaaaaaand we've landed back on Monday. The first Monday of Autumn (or Spring, for you Southern-Hemisphere-ers). Too bad it's still really warm up here. I don't consider 90 degrees to be very "fall-like." But we'll get back to those cooler temperatures eventually. 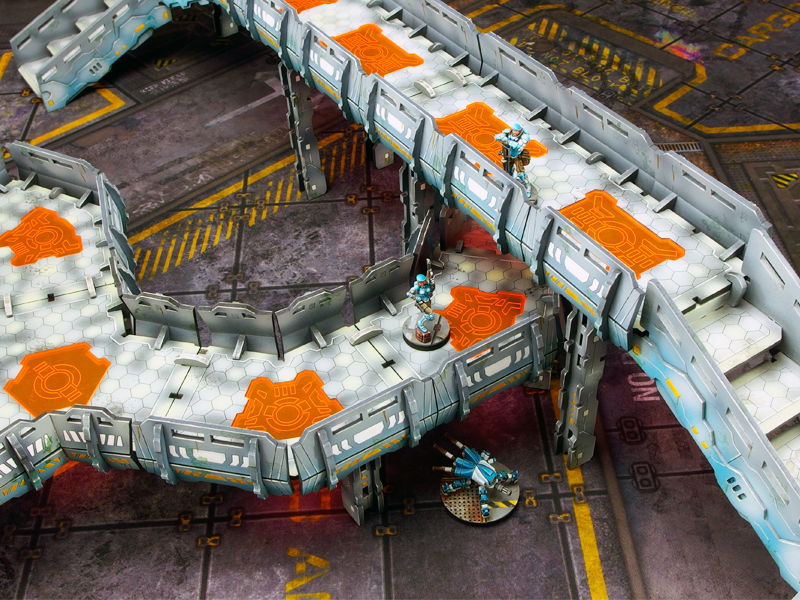 Until then, how about we make your gaming tables look good? Sounds like a plan. 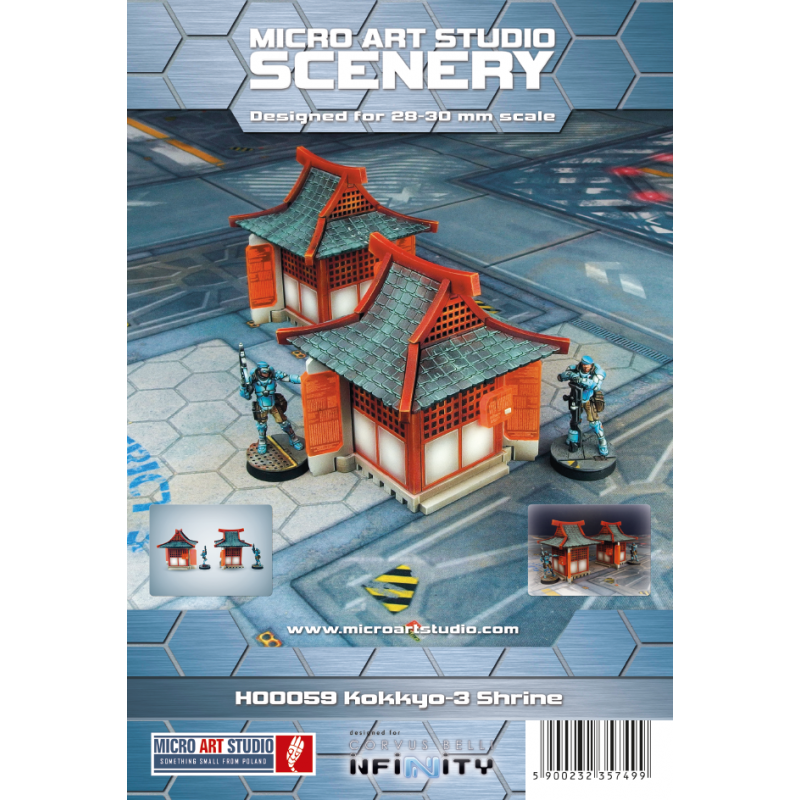 Today in the Terrain Corner we have: Micro Art Studio terrain KS campaign incoming, Acheson’s 20-40% Off Sale Extended, and Fat Dragon Games Launches Dragonlock 3 Kickstarter. It's Monday morning here (though I know this is going to be posted in the afternoon). I'm trying to type up as much of my posts today before the storm gets really bad, just in case power and/or internet goes out. Also, working from home since they closed the office. But neither rain nor sleet nor snow nor slush shall keep me from getting you those gaming news stories. At the moment, it's making sure your gaming tables look as good as possible. Today in the Terrain Corner we have: New Test of Honour Lantern & Katana Ruler Set, Heroic Maps - Modular Kit: Mossy Dungeon Corridors Now Available, Acheson Creations to Launch Kongo-Afrika Kickstarter, Terminus Segments Industrial Set Available From Micro Art Studio, and The Valley:Fantasy Gaming Mat Available from Pwork Wargames. Man, most of yesterday, I felt like it was Thursday. This morning, I was thinking, "man, it's Friday. Nice." And then I realized that sad truth: the weekend was still another day away. Probably doesn't help that I've not been feeling all that great the last day or so. So I'm hoping for the weekend to hopefully get over whatever I might be picking up. But that's as may be. 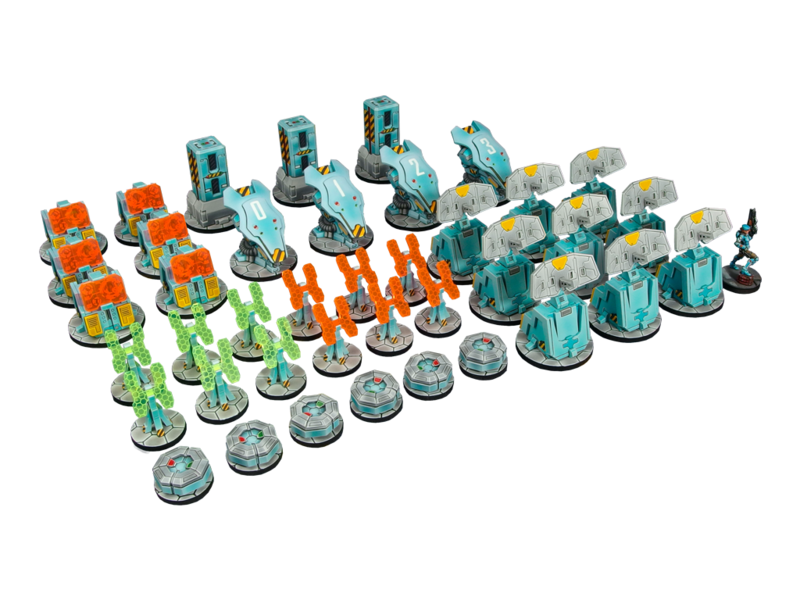 In the meantime, we need to get your gaming tables looking good. So, let's get to it. 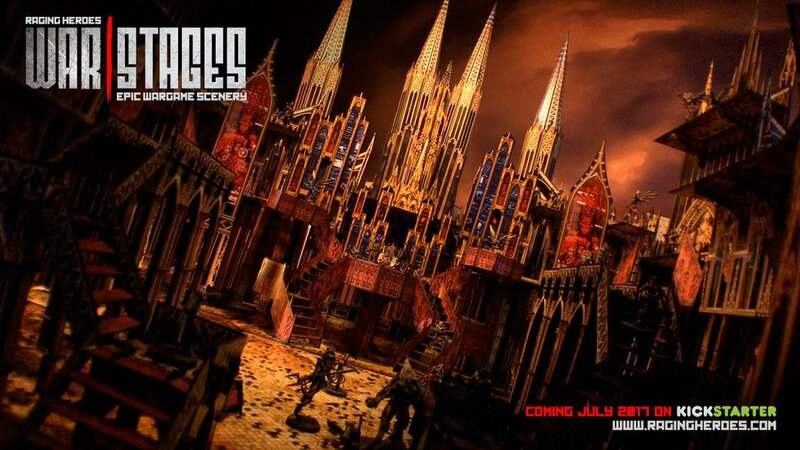 Today in the Terrain Corner we have: New 2D Terrain from Dicey Ventures Studios, Raging Heroes' WarStages: The Gothic Cathedral Kickstarter Launches This Weekend, New District 5 Staircase and Holoads From Micro Art Studio, and Combat Plaza Game Mat Available From Pwork Wargame. But I'm nowhere near all that. I'm just here making sure your gaming tables look as good as possible. 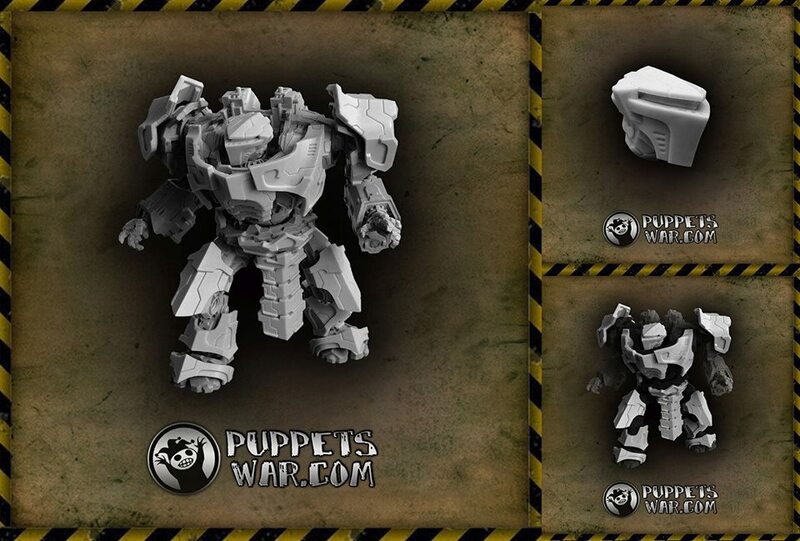 15mm Barricades and Sandbag Walls Set Available from Tabletop-Art. It's Monday. But it's not so bad. I'm working from home today. And many of us here in the states have tomorrow off. So, as I said, it's not such a bad way to start the week. Though the system eating the Review Roundup was a bit annoying to discover. But waddyagonnado? You're gonna post about terrain articles, is what. Well, I am, anyway. 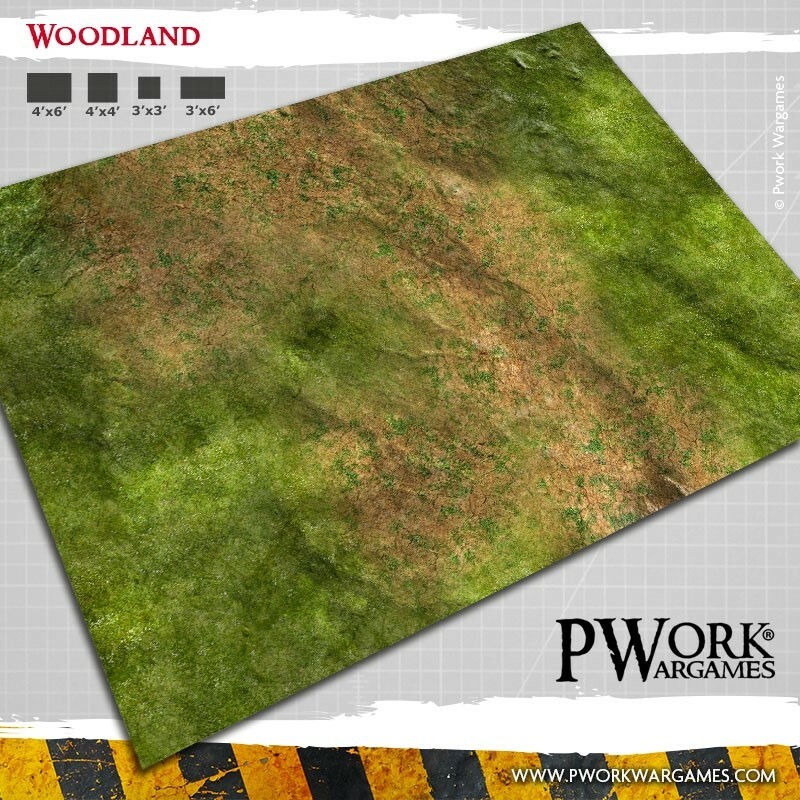 Today we have: Heroic Maps Hinterland Map Bundle Now Available, Woodland: Fantasy Gaming Mat Available From Pwork Wargames, and Terminus Segments Modular Mat - Industrial Available from Micro Art Studio. We're getting closer to that weekend. Just another day and a half and we'll be there. Hopefully, you've got some gaming plans lined up. I've got some partial ones, myself. We'll see how it goes. But if you are going to be gaming, you should have a good-looking gaming table. So let's help out with that here. 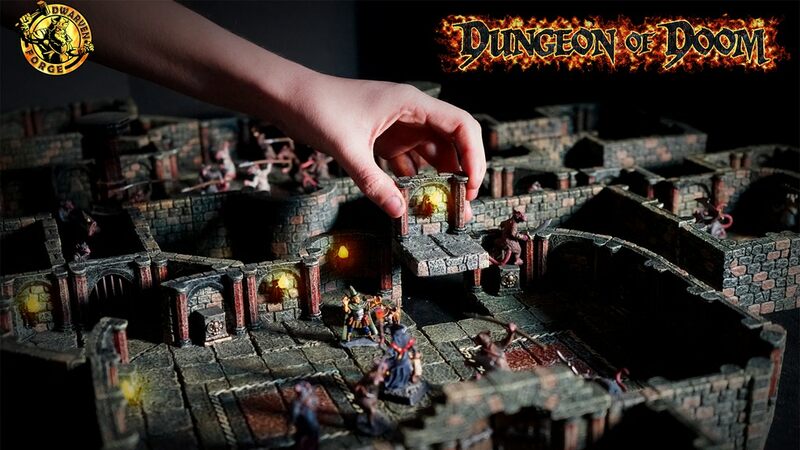 Today in the Terrain Corner we have: June Releases Available From Scotia Grendel, Dwarven Forge Running Dungeon of Doom Kickstarter, Final Days for BattleMats RPG Encounter Kickstarter, Lifeless Land Gaming Mat Available From Pwork Wargame, and District 5 Warehouse Available From Micro Art Studios. We're making our way there, everyone. A 3-day weekend is nearly upon us. Have you gotten your plans set yet? I'm... still feeling mine out a bit. We'll see how it goes. But I do hope to get in at least one game of Guild Ball tonight after work. I'm going to finally get to use those new Hunter's Guild models. And, of course, I want my table to look good, just as you do. So let's work on that. Today in the Terrain Corner we have: More game mats for Runewars from Deep-Cut Studio, District 5 Food Booths Available From Micro Art Studio, BattleMats Running RPG Encounter Mats Kickstarter, Ice Planet Gaming Mat Available From Pwork Wargame, and Baueda Releases 15mm Hellenistic Fort. Well, I'm back in the office. The tub was fixed. The carpet's been cleaned. And while I certainly can do what I need from basically anywhere with an internet connection, it's good to get back to the regular routine. What can I say? I'm a creature of habit. It's also my habit on Mondays to tell you about terrain articles I've come across. So let's do that. 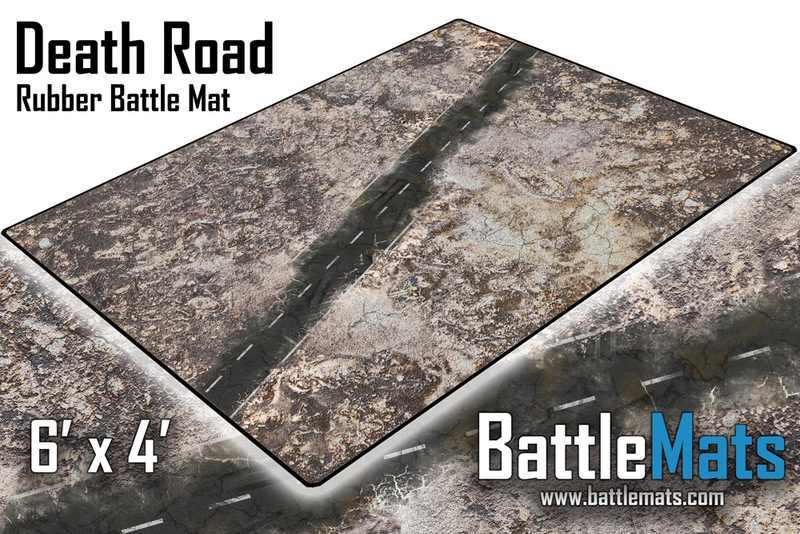 Today in the Terrain Corner we have: ITS Scenery Set Available From Micro Art Studio, Axolote Tiles 3: Fantasy Realms Up On Kickstarter, and Badlands Gaming Mat Available From Pwork Wargame. Well, it's Thursday. This week has gone by super-fast, mostly because of how busy it's been. But that's what happens the week before a show. Also, we've had a lot of people in the office to help prep. So that makes time go by, too. At the CMON Expo, there'll be plenty of games going on, all of them on some good-looking tables. If you're looking to make your tables look good, you should check out these stories. 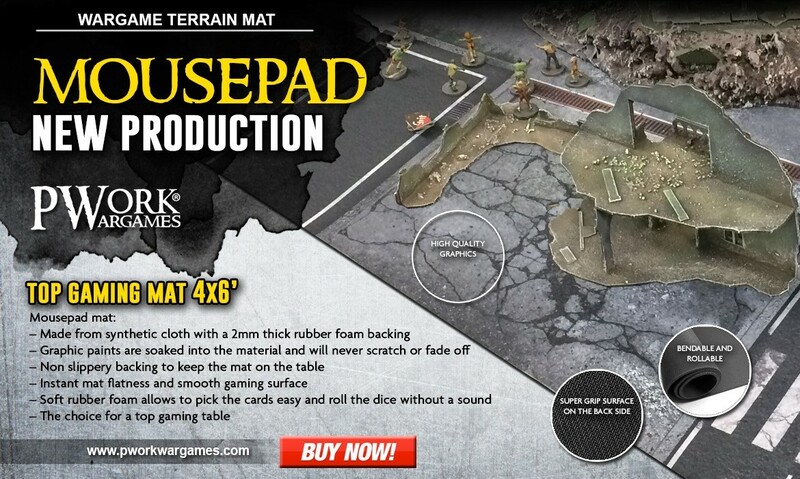 Today in the Terrain Corner we have: Deep-Cut Studio releases sandy game mats for dedicated games, New 28mm British Houses Available From Sally 4th, New Terrain And Graffiti Transfers From Micro Art Studio, Torture Chamber unlocked as TerrainCrate total hits $400k, Two New Mats Available In Neoprene From Pwork Wargame, and BattleMats Releases Death Road Map. Well, we knew it was inevitable. The weekend has come to an end and we're back at the start of the work week. Though, at least for me, this is no ordinary work week. CMON Expo is this upcoming weekend. If you'll be in the Atlanta area, you should stop by and say, "hi." But before we get to that, we still have our regularly-scheduled posts to make. That includes today's Terrain Corner. 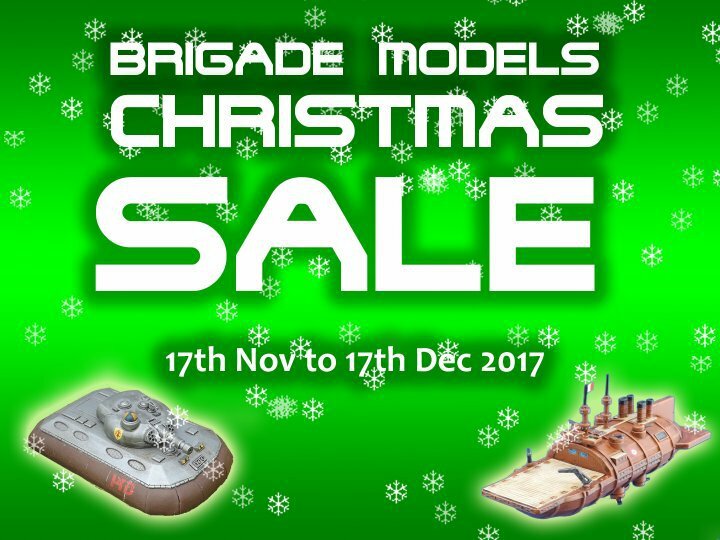 As such, we have: Sci-Fi Scenery Added to TerrainCrate Kickstarter, Large Desert Building Available From Battlefront, Terminus Segments modular mat and District 5 Catwalks Available From Micro Art Studio, Heroic Maps' St Olfryc's Priory Bundle Now Available, and Cyber City Game Mat Available From Pwork Wargame. We're continuing our trek through the work week. Actually, in a way, for me it's sort of like a Friday. I say "sort of" because I'm gonna be working from home tomorrow a bit, but I actually have the day off. Don't worry, though. I'll still be bringing you some stories. But yeah, gottta get some stuff prepped for the weekend. What am I going to be doing? Well, going to a binge watching party for the new season of MST3K that's coming out. But that's for later. 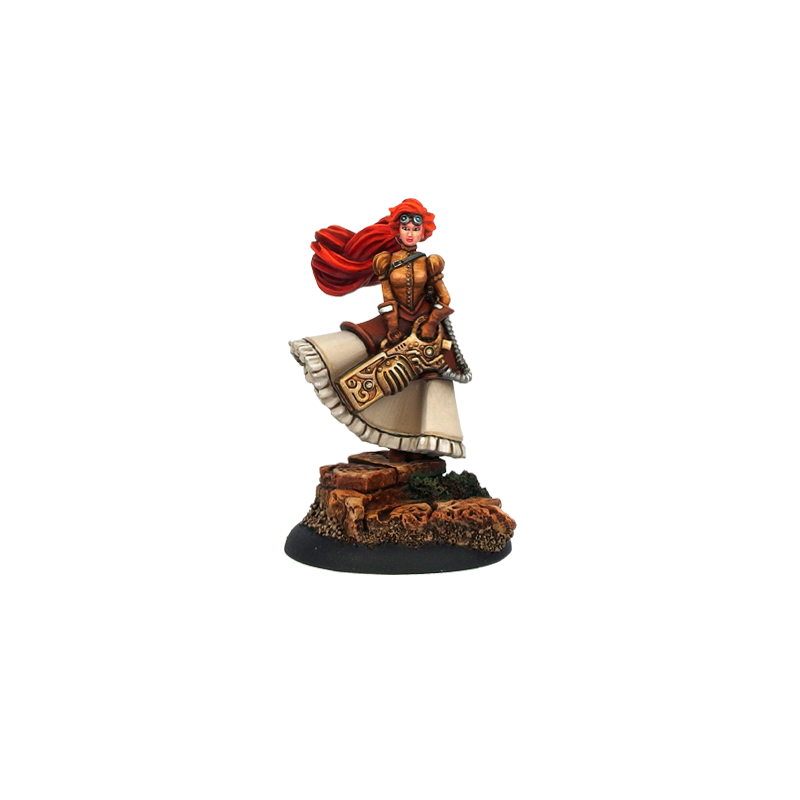 As for now, it's time to make sure your gaming tables look as good as possible. Today in the Terrain Corner we have: New To Kill A King Terrain From Sarissa Precision, New Orc Junk City Fuel and Ammo Piles From Kromlech, New Mousepad Material Mats Available From Pwork Wargame, New Wood Coffin Set Available From Tabletop-Art, New Brick Walls Sets Available From Micro Art Studio, Fantasy Arc releases Gwenilth: Lost City of the Elves terrain, West Land Gaming Mat Available From Pwork Wargame, and Textured Foam Scenery available from Firedragon Games. 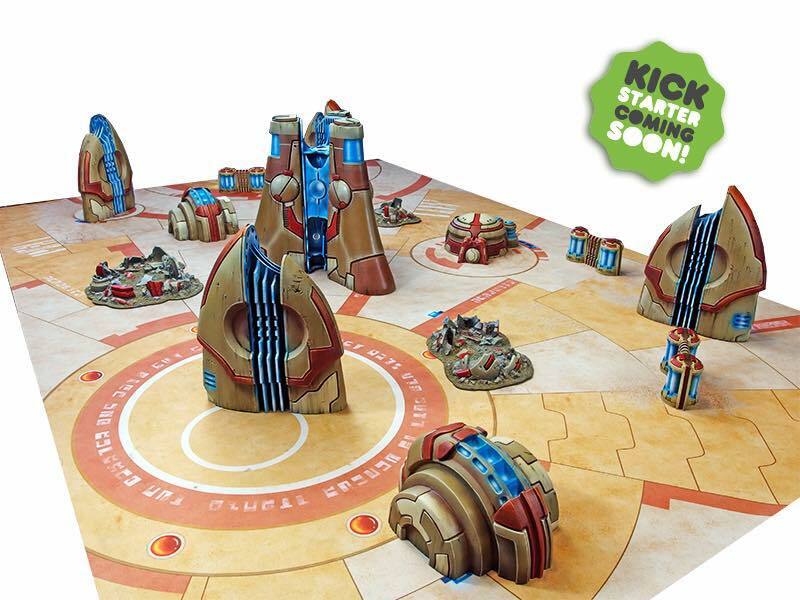 Anyway, let's make sure your gaming tables look as good as possible, eh? 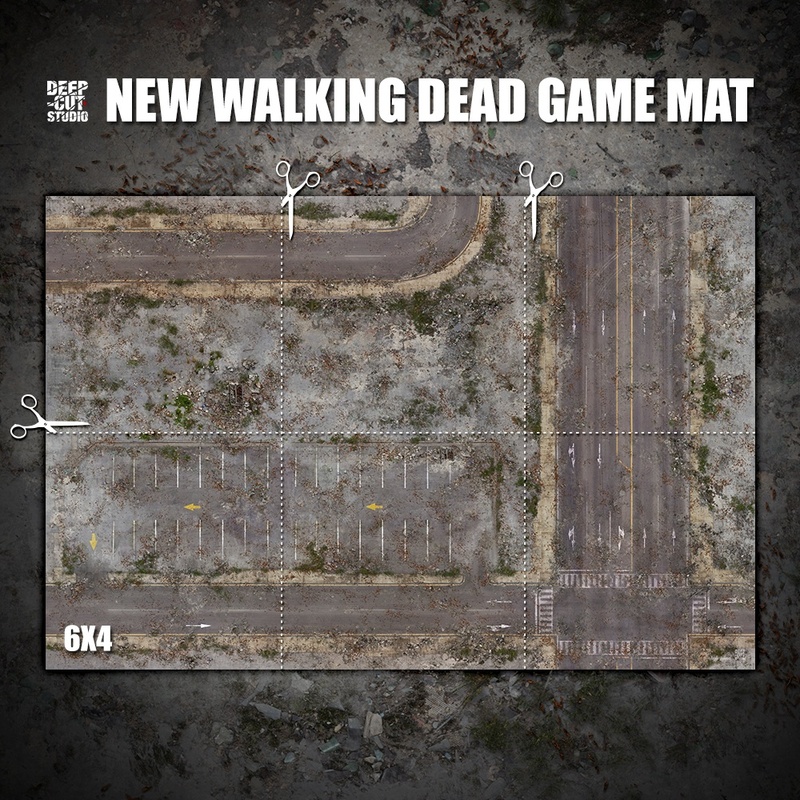 Today in the Terrain Corner we have: New Walking Dead Gaming Mat Available From Deep-Cut Studio, Separate crates available at Micro Art Studio, Ancestral Ruins Obelisk and destroyed Obelisk Available From Tabletop-Art, New Releases Available From ESLO Terrain, and Tiny Wargames UK Having a Sale On Their Gaming Mats.